Does Eating Too Much Asparagus Have Negative Effects? Did You Know This About Asparagus? We have been calling asparagus ‘asparagus’ and not even stop to think if it’s English or not. We just automatically assume it is. Have you wondered how asparagus got its unique name? Is it really English or did its name come from somewhere else? The name of asparagus has an uncertain origin. But it is known that before 1398, this vegetable was called asperages or aspergy. Asperages was sometimes considered plural in Middle English with “aspergy” as its singular form. From asperages, it evolved to be called asparag which in Persian means sprout, shoot or stalk. 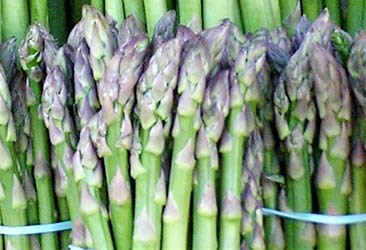 In Greek, asparagus was called aspharagos. The Greeks loved this spear-like vegetable and consider it sacred because of its medicinal value and aphrodisiac effects. By the time 16th century came, asparagus has been anglicized and became sperage, sparage, or sperach in English. These terms were borrowed from the Latin word sparagi. Not all etymologists believe that the original source of the name of this vegetable was Greek. They believe there may have been another source of the word, a foreign one. During the same century, its Latin version was shortened to sparagus. Folk etymologists however changed it to sparrow-grass or sparagrass. It was only towards the last part of 18th century that asparagus was called asparagus. What are the Best Companion Plants for Asparagus? Why Does Asparagus Make My Urine Stink?